Collection of cleverly designed mini-games. Is there a better alternative to Mind Medley? Is Mind Medley really the best app in Arcade category? Will Mind Medley work good on macOS 10.13.4? Mind Medley is an illuminating collection of cleverly designed mini-games. Test yourself with a series of fun challenges with names like Memory Match, Shadow Shapes, Perfect Pairs and more! Easy to learn and play, Mind Medley tracks your progress and grows with you as you improve. 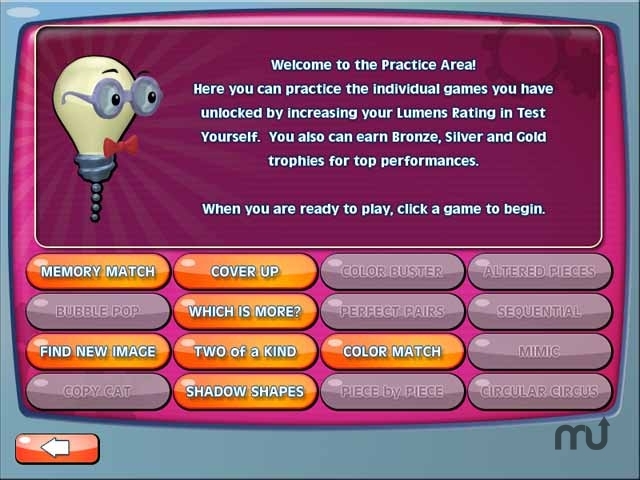 Test your brainpower to earn "Lumens" and unlock even more fun games! Featuring two game modes, colorful graphics, and endless replay value, Mind Medley is brain-building fun for everyone! Mind Medley needs a review. Be the first to review this app and get the discussion started! Mind Medley needs a rating. Be the first to rate this app and get the discussion started!